Our journey at the competition started by unloading the FC-15 car from its container, kindly taken care of by Attrans. This was followed by registering and setting up our workshop for the coming week. After passing the technical inspection and the tilt and brake tests, the next big hurdle was the noise test. This required some on the spot engineering since the different fuel used in Italy rendered over the maximum noise limit. The team managed to re-model and manufacture a part of the exhaust system on the spot, during which turned out to be a rather dramatic afternoon. With the initial tests finally done and dusted, the points-based events were now up next. 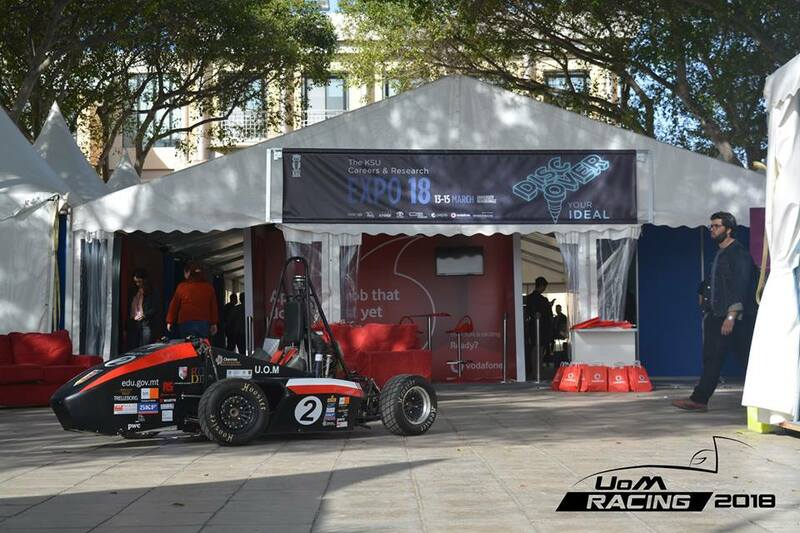 While part of the team was getting prepared for the design presentation, cost report and the business presentation, the rest were preparing the race car for the dynamic events. The first of these was the acceleration event, in which the team placed a remarkable 9th place. Later that day, the weather wasn’t so picturesque, heavy rain started and lasted throughout, leaving the skidpad track flooded in water, and our team soaking wet trying to get the most points possible in this event. 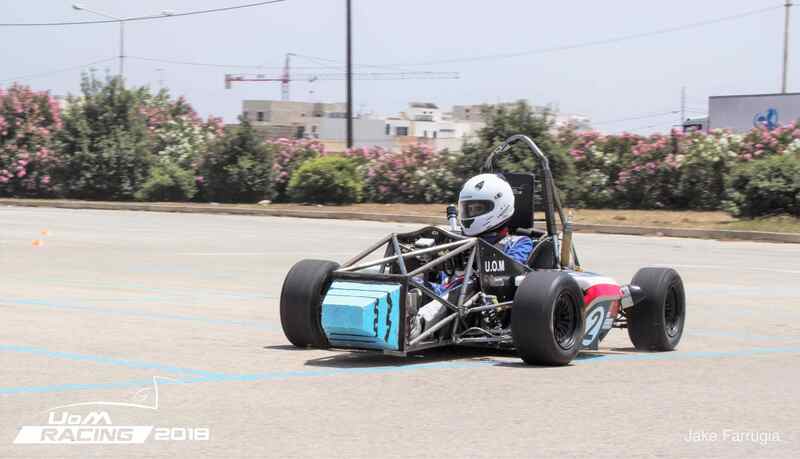 The autocross event was the highlight of the day, in which the racecars compete for a lap of the track, also serving as a qualification lap for the endurance event. The endurance event was on the final day of the competition, in which the team was all geared up and ready to show our support. 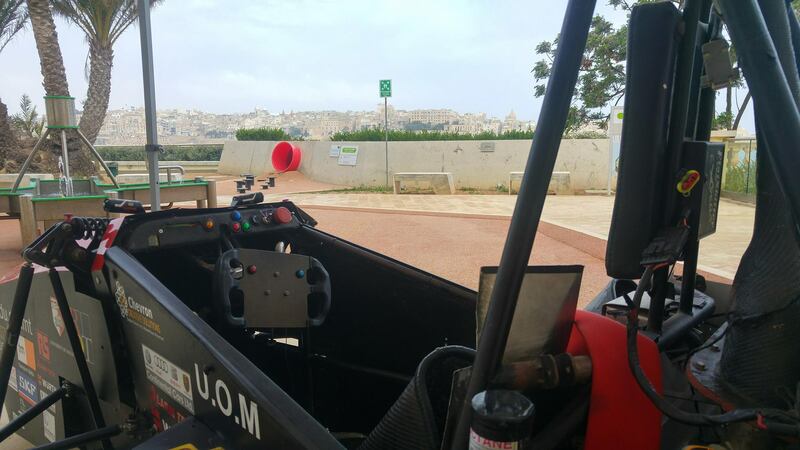 Unfortunately, the Maltese racecar did not manage to finish the endurance event, after crashing into the gravel and being unable to finish. 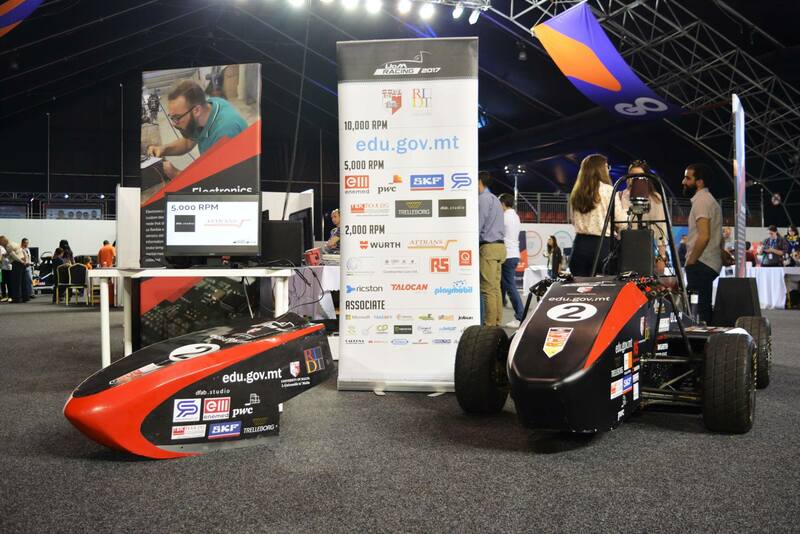 Despite this, the young team from tiny Malta returned with heads held high, after being able to hold our own with much larger universities, and still placing 29th from the 77 competing teams.